Melissa McHale is an Associate Professor in the Department of Ecosystem Science and Sustainability, at Colorado State University, and serves as program leader for urbanization and health in the One Health Institute. Melissa is also an Honorary Research Fellow at the Wits City Institute, at the University of the Witwatersrand in South Africa. Her focus is on urban ecology and sustainability which encompasses transdisciplinary study of complex social-ecological systems, social drivers of urban ecosystem structure and function, and global urbanization patterns and processes. 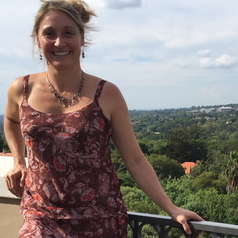 Dr. McHale has also developed an internationally renowned research and education program in South Africa, where she provides students with unique opportunities to work with underprivileged communities on their greatest sustainability challenges.